Heart-bit? No, I don’t mean smitten with love, phrased in a folksy sort of way. I mean a little bit, or piece, in the shape of a heart! Worn right over the heart. 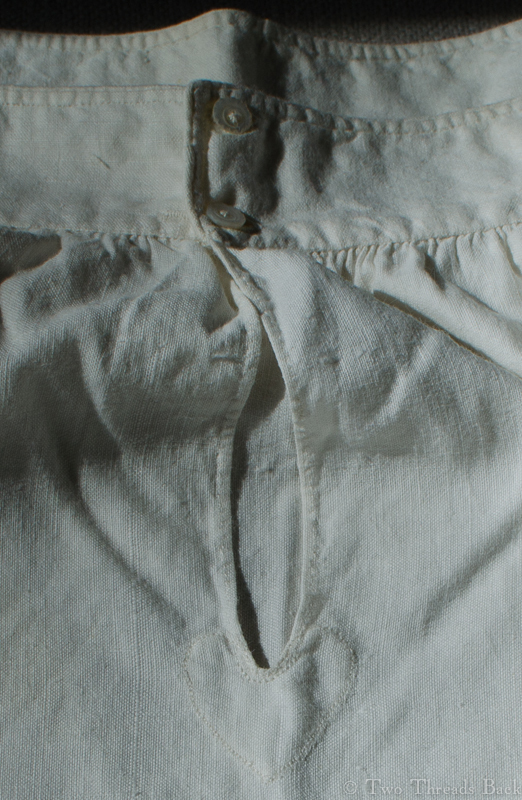 Heart-bit with decorative knots on an early 19th century man’s fine linen shirt. The shirt was rescued from captivity where it had been altered and abused with scissors, sewing machines, and synthetic trim! This half overplus being a quarter of a yard in length, serves to cut out hearts for the bosoms. 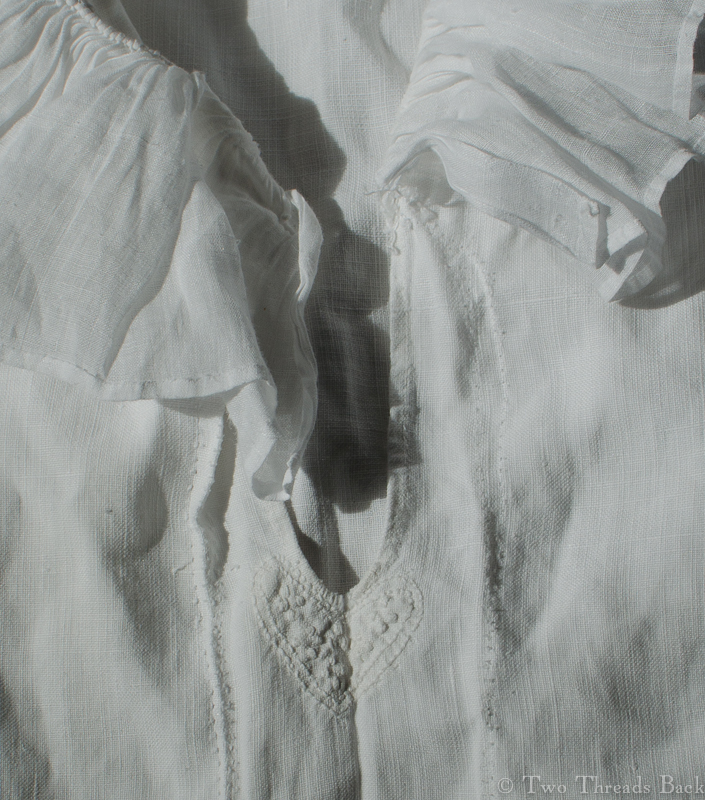 Before commencing the shirt, small pieces of muslin are given to each girl, for the purpose of learning to settle in, and work the breast-gusset. Of course not all shirts had them. Some had a triangular gussets, or a buttonholed reinforcement, or a tiny rectangular piece to prevent a tear, and some had nothing at all. But you have to love linen with a heart! 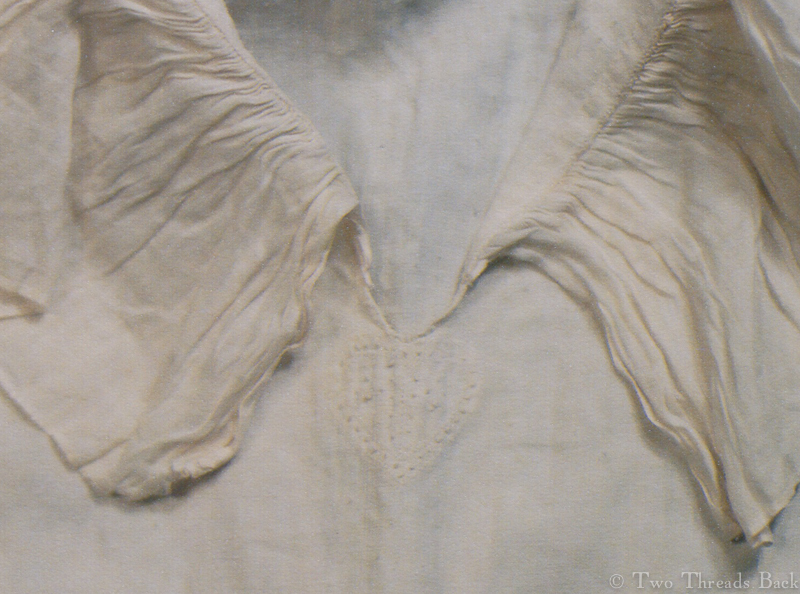 Another early 19th century man’s fine linen shirt, with a beautifully worked heart-bit. Unlike the shirt above, this lucky gentleman spent his retirement carefully packed away. 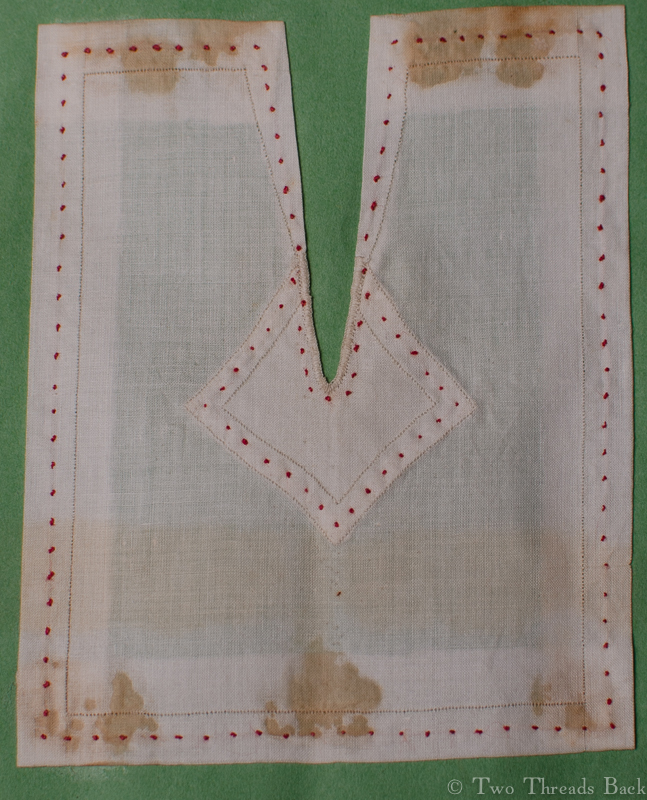 An early 19th century woman’s chemise made of muslin, showing she had a heart, too. A girl’s sewing manual from the mid-19th century displays an alternative shape for the gusset, but still called in the instructions a Heart-piece. This entry was posted in 19th Century Shirts, Hand Sewing and tagged 19th Century Shirts, Antique Clothing, Hand Sewing. Bookmark the permalink. I love this! What a charming piece of history. Thank you! I wonder if the women who sewed them ever dreamed they’d be admired so many years later?